It’s going to be a culture-filled weekend in Durango, Colorado, with theater performances, live music and visual arts galore, so dust off your monocle and lift that pinkie because it’s about to get fancy (and fun). Take your pick Thursday night of catching a concert or browsing art galleries — or both! Linda and Robin Williams will perform Thursday night at the Community Concert Hall at Fort Lewis College in Durango. Robin and Linda Williams (no, not that Robin Williams) will put on a concert 7 p.m. Thursday, Nov. 7, at the Community Concert Hall at Fort Lewis College. 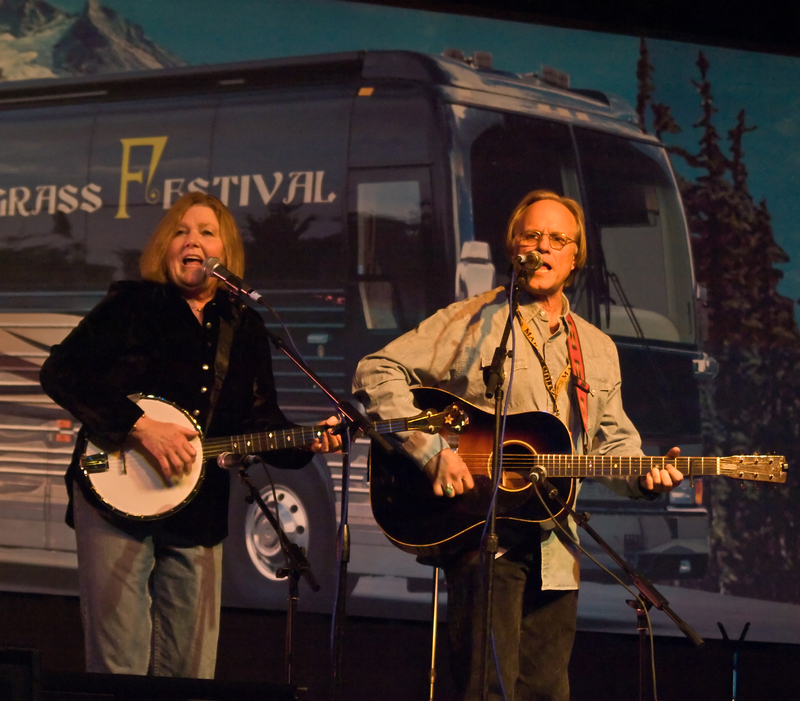 The singing and songwriting duo got their start in 1971 and have been regulars on Garrison Keillor’s “A Prairie Home Companion” since 1976. The Williamses (who play guitar and banjo) will put on a country, folk and bluegrass-filled show backed by “Their Fine Band.” Tickets are available here. If live music isn’t your thing, Thursday night is also First Thursdays Art Walk from 5 p.m. to 7 p.m. at galleries and alternative art spaces scattered throughout downtown Durango. Participating venues host art and artists, and the event is free. If you love live theater, Friday marks the opening night of several shows. Children’s Theatre presents Pickle-Chiffon Pie at the Durango Arts Center with performances on Nov. 8, 9 and 15 with two special fundraising shows on Nov. 16. The play, which is based on the award-winning children’s book by “Jolly” Roger Bradfield, gives families and children the chance to “get to know a juggling lion, a sixteen-foot gazoo and a mouse that paints like Picasso.” Tickets are available here. The world premier of Sun and Room will be Nov. 8 at the Fort Lewis College theater in Durango. Written by award-winning playwright Danny Mitarotondo, Sun and Room takes place in a Durango basement and explores the angst and optimism of young adults as well as contemporary college life. Performances will be Nov. 8, 9, 14, 15, and 16 at 7:30 p.m. with a matinée on Sunday, Nov. 10th. The Living Yoga Project presents Premanata, a yoga-inspired performance at the Smiley Theatre in Durango. Premanata opens Nov. 8 with shows on Nov. 9 and 10. The performance includes six choreographed performances featuring an all-men’s piece, all-women’s piece, partner pieces and more. Tickets are available here. Finnders and Youngberg will put on a concert of bluegrass, honky tonk and country swing starting at 7:30 p.m. Saturday, Nov. 9, at the Henry Strater Theatre in the historic Strater Hotel in downtown Durango. Tickets are available here. Enjoy even more music during a concert to support veterans. Bonus. The Veterans of Foreign Wars Post 4031, SW Civic Winds and Durango High School music department present “A Musical Tribute to Veterans” at 3 p.m. Sunday, Nov. 10, at the Community Concert Hall at Fort Lewis College. Tickets are available here. While you’re getting cultured in Durango, be sure to stay with us at the Durango Quality Inn!